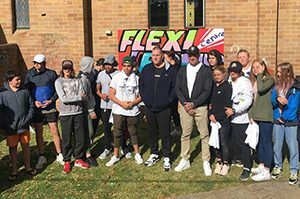 Wollongong Flexible Learning Centre is part of Edmund Rice Education Australia’s national initiative, Youth+, responding to the needs of young people in our communities. Wollongong Flexible Learning Centre is located in Towradgi in the northern suburbs of Wollongong. The school opened in January 2013, becoming the fourteenth school in the Youth+ Flexible Learning Centre network nationally, and the first in New South Wales. 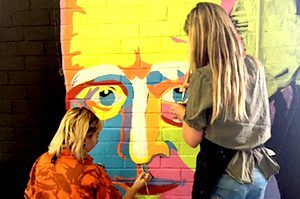 At Wollongong Flexible Learning Centre we understand that young people need first and foremost to learn how to be, and how to be with other people. Our Four Principles of Operation – Respect, Honesty, Safe & Legal and Participation provide us with a framework through which we can develop authentic and compassionate relationships within our school community. We look for opportunities to use these Principles in our learning and in our interactions every day. 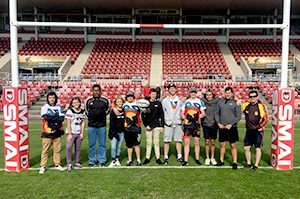 Wollongong FLC workers aim to build trusting relationships and educational pathways for young people in the local community who are currently disengaged from education. Wollongong Flexible Learning Centre is a co-educational secondary school, registered to deliver NSW Board of Studies courses to young people from Year 7 to Year 10, with a strong focus on providing individualised programs of study that respond to the unique talents and needs of the young person. Accredited flexible education services provide young people with an opportunity to re-engage in education in a supported learning environment. Our Transition to Work program enables young people to access Certificate Courses and other skillsets. We offer Certificate I in Access to Vocational Pathway and Certificate II in General Education for Adults. 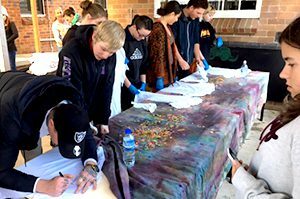 We have an Outreach program that runs in Nowra. The focus of the program is to enable Young People to engage with their education as they have been disengaged for a long time. Most of the activities are focussed towards teaching life skills to young people.